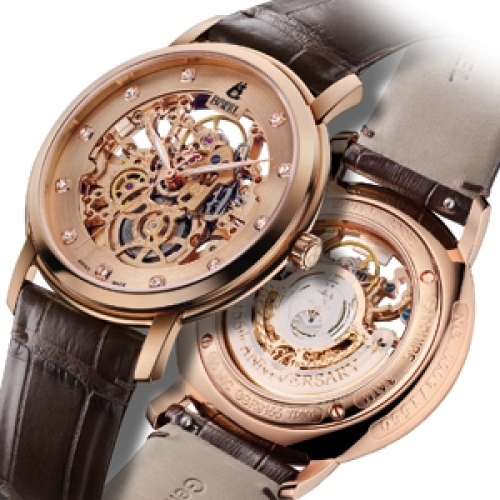 Ernest Borel presents the 155th Anniversary Skeleton Limited Collection in honour of the many models and innovations that have marked its century-and-a-half existence. Now the brand lays another milestone in its history and legend. 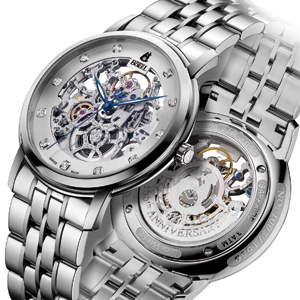 Inside this timepiece beats a 2892 calibre, an elegant skeletonised movement with an exquisite Louis XIV decoration. 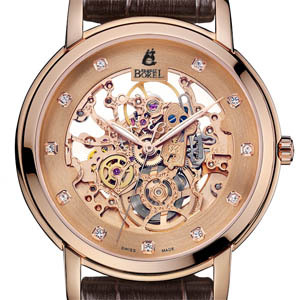 Striking a delicate balance between horological technique and art, the intricate skeleton work is evidence of the savoir-faire and passion that has inspired Ernest Borel from the very first day. 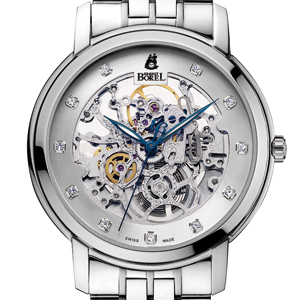 The refinement in every detail testifies to the perfection that is the brand's only goal. 1,000-piece limited series.